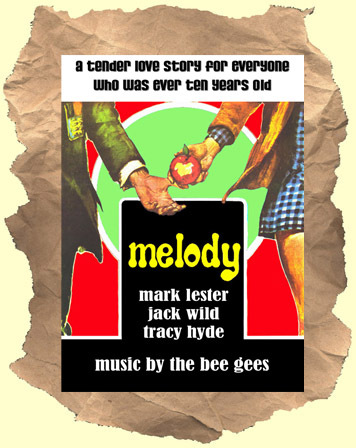 SYNOPSIS: Here's a much loved (but rarely seen) film from 1971 that features a soundtrack filled with Bee Gees songs. Mark Lester (of Oliver fame) and Tracy Hyde are two 10-year olds in love who decide they want to get married. The film is shown and presented very much from the children's point of view making it a rarity of sorts. This is a "kids" film that garnered positive reviews from mainstream critics. (i.e. It's not just for kids). Lester teams up with old acting pal Jack Wild who was fresh from his stint as "Jimmy" on H.R. Pufinstuf! Beautiful WIDESCREEN!